So it is another series of my adventure, today I would be uploading pictures of my lion park visit. 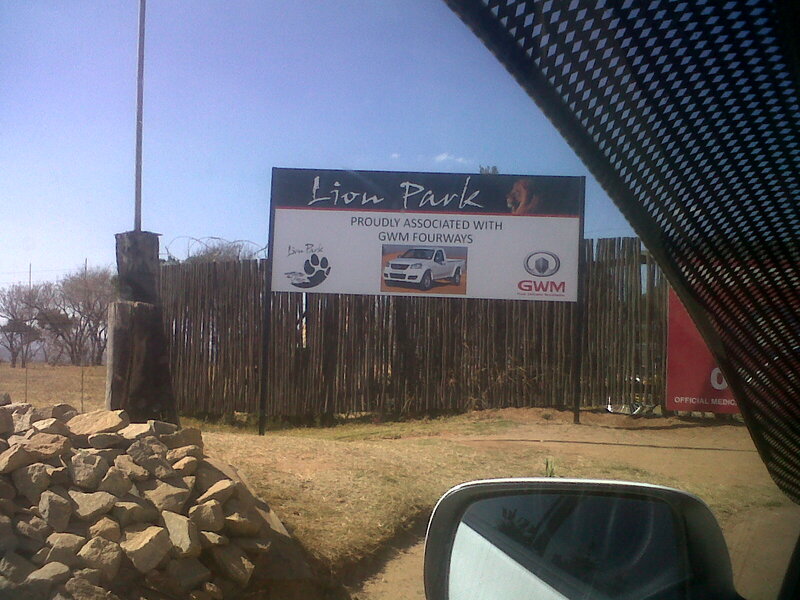 My friend and I went there the 2nd day I arrived and though it was cold I really enjoyed myself. In the pictures you would see me touching a lion cub, ordinarily I wouldn’t have agreed to touch it but my friend said there was no way I was going to come to lion park without touching them. I was super scared and after getting a few pictures, I ran out of the cage despite the fact that the animal keepers were with me and tried to make me touch the lions more. But this girl would have nothing of that, I was through! However I am glad I touched them and I have the pictures, when I upload them a lot of people are in awe that I was able to touch them. My dad said I should not be too adventurous, a friend said I was nuts to touch a lion…..lol. It was great though. I saw a lot of animals in lion park and I tried to get as much pictures as I could. I hope you guys love the slideshow. I previously posted a video of my arrival scenes but the airport pictures in the video were of the departure lounge/area of Nigeria. When I got to South Africa, I was too darn cold to start taking pictures. When we were about to step out of the plane, my seat partner who was an angel throughout the flight said ‘Welcome to South Africa’ and the blast of freezing cold air that hit me was alarming. I was so cold, I was practically shaking. I was not prepared for the cold. I tried to act like i was not freezing. It was like I stepped into a big freezer. I wore a jean jacket, sweater, scarf, t shirts and socks throughout my stay. Even though it was cold and I hated when I had to have my bath cos of the cold, I am happy I had a chance to experience their winter season because now I have experienced winter without snow. I don’t know if I would ever go to a country that has winter with snow but now I have an idea of what winter is. I gotta go. Need to start reading.